MODX (originally MODx) is a free, open source content management system and web application framework for publishing content on the world wide web and intranets. MODX is licensed under the GPL, is written in the PHP programming language, and supports MySQL and Microsoft SQL Server as the database. Many people choose to move their site from MODX to WordPress because they come to realize that with MODX CMS that it can be very difficult to make the simplest of changes. By converting their site over to wordpress users find it much easier for common functions such as updating and customizing. When a client wishes to keep the look and feel of their current site when moving across to wordpress we start by first doing the content migration and then follow it up with the theme migration. If there is a lot of functionality already built in the original site we can distribute it over to various types of wordpress plugins. The site will then be converted for cross device compatibility and when that’s completed be moved over to responsive framework. WordPress conversion from MODX is an approach that tends to make sense as best practice for most businesses. However there is one caveat to this point that should be considered, you shouldn’t rush into converting from MODX to WordPress without first properly evaluating everything first. It’s vitally important that you consider first your existing assets such as (such as SEO, Content, Functionality) are not compromised in the transfer. Finally the most important point when it comes to converting a MODX site to WordPress is to make sure you have an expert doing it! This isn’t something that is recommended to be a DIY job unless you are very confident of your abilities because there are a lot of things that can go wrong and issues that pop up during a migration, this is where it will pay to have someone who has a cool head and knows what they are doing to make sure your site converts to the otherside intact and unscathed. 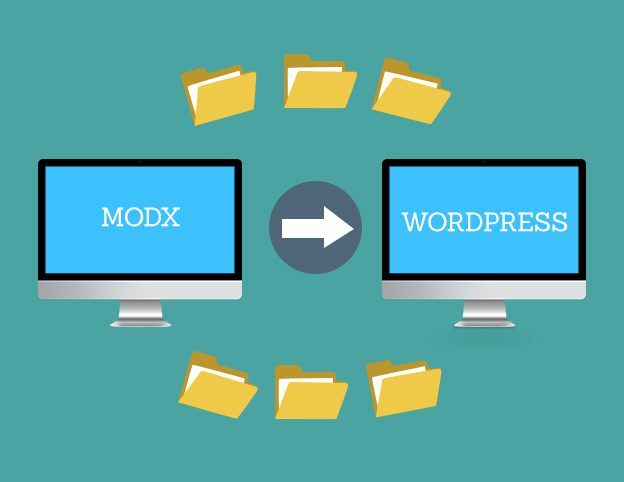 There are many so called ‘experts’ and ‘wordpress gurus’ out there who just copy/paste the existing MODX site into wordpress without first centralizing the control to the wordpress dashboard, this practices goes completely against the whole purpose of migrating over to wordpress! Many people also rely on automated software to cover everything related in the A-to-Z migration of a MODX site to wordpress. While automated software and scripts are very helpful in the migration process they aren’t always enough to complete the job by themselves. An experienced wordpress migration expert will know how to utilize the perfect combination of both automation and traditional hand coding to garner the best results. To get in touch with 2Cubed about migrating your site or just to inquire with queries you may have be sure to get in touch and contact us today!